DMG-α library is an attempt to grant researchers in the field of computational biology access to open-sourced, easy to use and intuitive package for performing fine-grained geometric analysis of molecular systems, especially multi-molecular systems such as lipid bilayer Molecular Dynamics simulations. 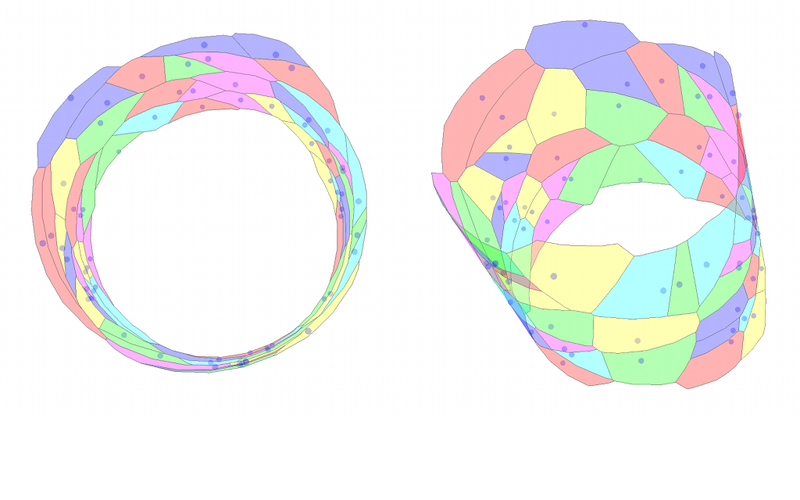 The package is capable of computing Power Diagrams (Weighted Voronoi Diagrams) in three dimensions with various periodic boundary conditions, computing approximate projective 2D Voronoi Diagrams on arbitrary surfaces, performing shape properties recognition using Alpha Shape theory and can do exact Solvent Accessible Surface Area (SASA) computation. 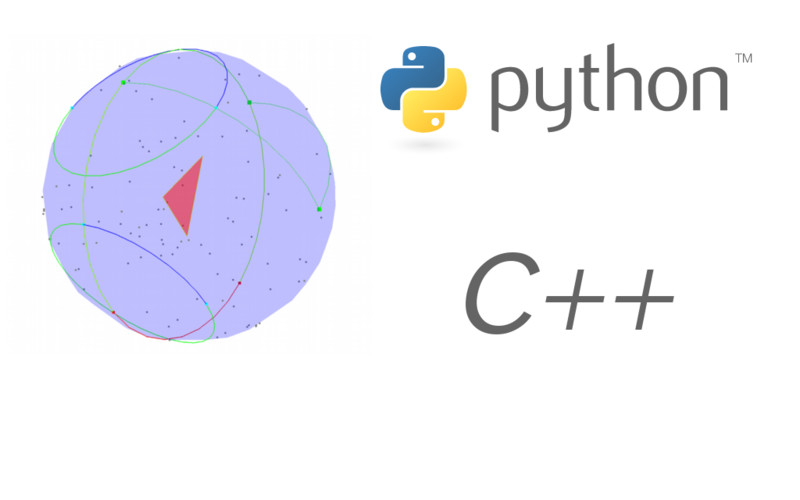 The software is written mainly as template-based C++ library for greater performance, but rich Python interface is provided as an easiest and preferred way to manipulate package routines. 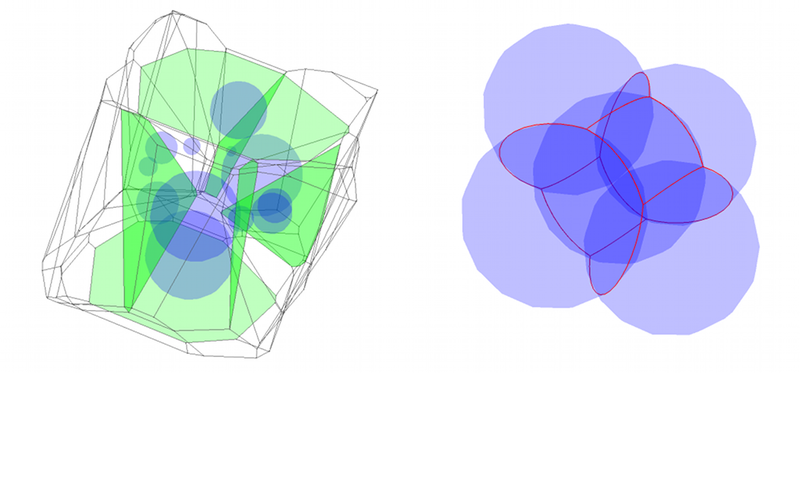 DMG-Alpha is capable of computing Power Diagrams in 3D for box geometries with arbitrary periodic information. All geometry constructs are easyli accessible, and all kinds of attributes can be simply computed, e.g. areas of cell sides, volumes of cells, neighbouring information. 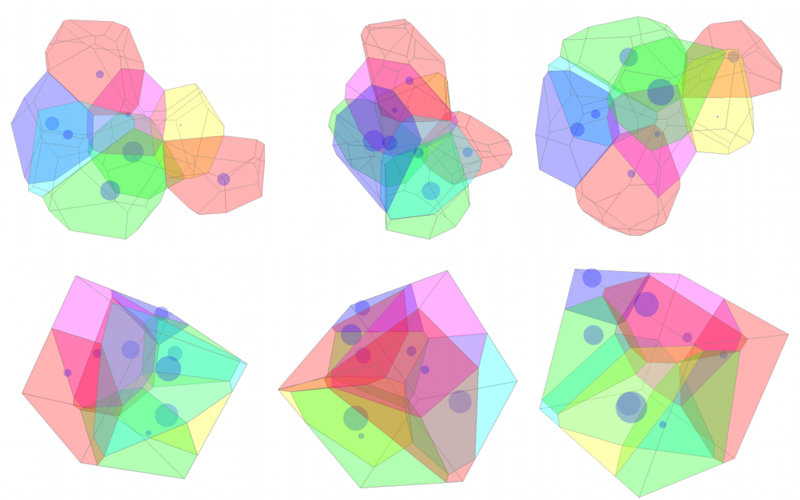 DMG-Alpha can compute Alpha-Shape-like constructs based on Power Cells instead of standard dual concept of Regular Triangulations. It allows for shape recognition, blocked pathways, exact Solvent Accessible Surface Area (SASA) computation and more. DMG-Alpha is written mainly in C++ for greater performance, but it's main goal is to provide rich and easy to use and intuitive Python iterface. Python interface also cames with embedded simple graphicas tools which allows to visualise computation effects. Export to standard PDB and PyMol formats is also supported. © Copyright 2011-2014 Robert Szczelina, Jagiellonian University, Krakow, Poland.